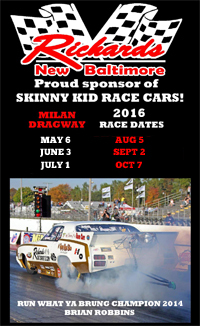 Richards Auto Parts is proud to partner with the Skinny Kid Race Cars (SKRC) asphalt drag racing team as their Primary Sponsor for the 2016 race season. The SKRC team competes in the Milan Dragway Friday Night Heads-Up Series with their ’72 Olds in the Run What Ya Brung (RWYB) class. With driver Brian Robbins behind the wheel, this team was the 2011, 2013, and 2014 Champion in Milan's RWYB class. The SKRC ’72 Olds features a 3000 Horsepower Hemi engine that covers 1/8th of a mile in less than 4 seconds at over 200 MPH while thrilling the Southeast Michigan crowds that pack the house at Milan Dragway. 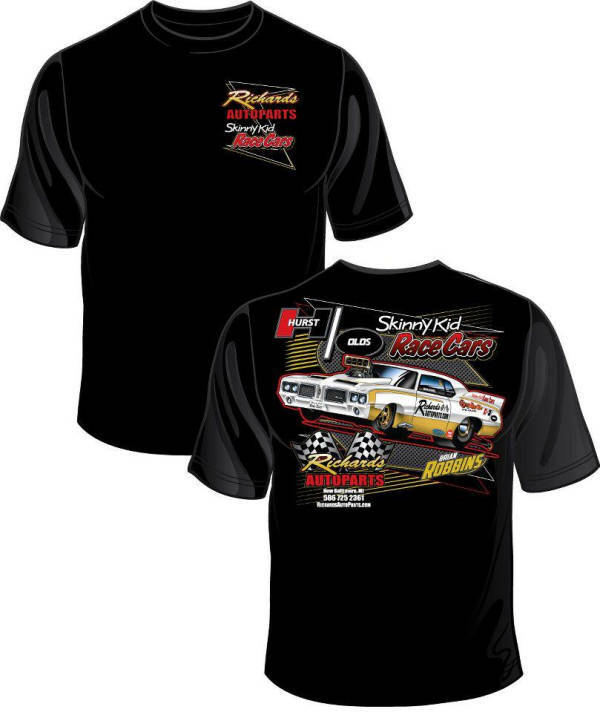 Richards Auto Parts would like to thank all of our associate marketing partners that help make this happen: AMSOil / Lubrication Specialists of Michigan (Mike & Corey Ellis), Deka Battery, Edge Solutions, Monroe Shock Absorbers, Super-Flite Oil, and J&P Auto Electric. 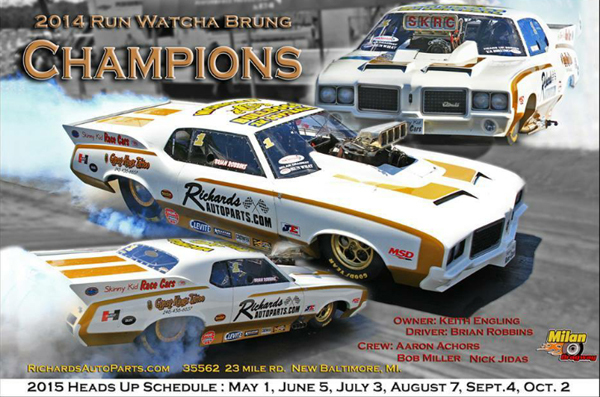 Be sure to check out the SKRC/Richards Team at Milan Dragway on the following dates as they chase another class championship: May 6, June 3, July 1, August 5, September 2, & October 7.